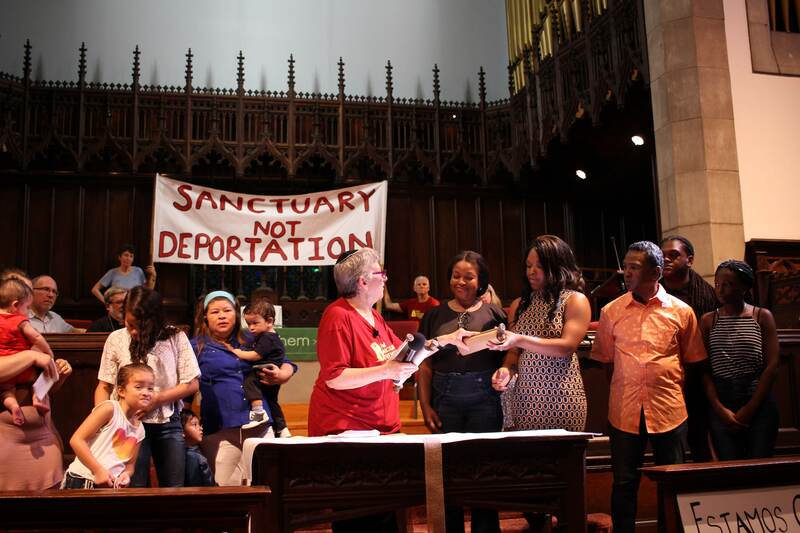 As part of a state-wide coalition fighting for unmarked licenses for all, New Sanctuary Movement of Philadelphia is seeking official endorsement from religious denominations in Pennsylvania. Through a process of strategic analysis, our immigrant members have concluded that harnessing the unified power of our religious denominations is a critical way to move forward the legislation to win licenses for all. Denomination petitions are first step in this process. We already have won endorsements from public officials, organizations, non-profits, businesses, over 220 Pennsylvania clergy, and 3,000 people of faith across the Commonwealth. Read a full list of those endorsements here. Providing driver’s licenses to all qualified immigrant driver’s in our state is consistent with our faith values of family unity, loving our neighbor as ourselves, and providing hospitality to all regardless of country of origin or immigration status. You can sign the online petition for your denomination or download and print the petition to have members of your religious denomination sign it. You can mail printed copies of the petition to our office: New Sanctuary Movement of Philadelphia/2601 Potter St/Philadelphia PA 19125. The deadline is April 1, 2016. For United Methodists – WON on June 17, 2016! For Unitarian Universalists – WON! ALREADY WON ENDORSEMENT OF THE MENNONITE CENTRAL COMMITTEE-EAST COAST!